The groom’s family agreed to lower their demand for a dowry to Rupees ten thousand from the ir previous demand for Rupees twenty thousand. It is clear that he had to discuss the dowry demands in great detail. Letters of this time speak of talks with the groom’s brothers and the reduction of the sum to half the original amount stated. But the situation came to an impasse over when the money would be handed over to the groom’s family. At this point Rabindranath Tagore himself decided to appeal to the prospective groom’s sense of fairness and wrote to him in secret. This letter was dated 24th April, 1901. A fuller understanding of the anguish the poet had to bear as a result of these negotiations is easily gained by reading the letter. Your late father was a close friend of our family. He held me in the kind of affection one feels for a brother and thus I feel I have the right to address you in this familiar manner. Priyanath Sen has presented you with a proposal to marry my daughter; I have seen your letters regarding the matter and discussions have been held with your brothers. I was keen about the proposed alliance for various reasons and would count myself as fortunate if this marriage was to take place. But I feel that I must discuss the issue with you instead of sitting back in silence, since if this marriage should take place by the grace of God, the relationship between us will be continuous and our mutual happiness and fortune or lack thereof will be celebrated together. My father gifts all the new members of our family with a dowry on the day after the wedding. I do not wish to repeat the amount of dowry that has been decided upon after discussions. But I must raise a point with you that is related to this gift. I hope you will accept this with generosity. I could not give him a suitable answer and it was immediately apparent to me that the demand showed disrespect and insulted my father. I am coming to you with this information without going through the usual channels. This is because I feel that it is not your intention to cause us the shame and anguish we have felt. If we are to establish any future relationship it cannot begin on a foundation of suspicion and disrespect. That would only cause hurt and insult further down the line. I will make my final decision only after hearing from you. If any of your relations are irritated because I wrote to you directly about all this then I hope you will think over the situation and not misunderstand me. Irrespective of whether my wishes are fulfilled regarding the marriage, I hope you accept my most sincere blessings. This entry was posted on May 31, 2014, in Letters by Tagore and tagged Madhurilata Tagore, Tagore's letters. 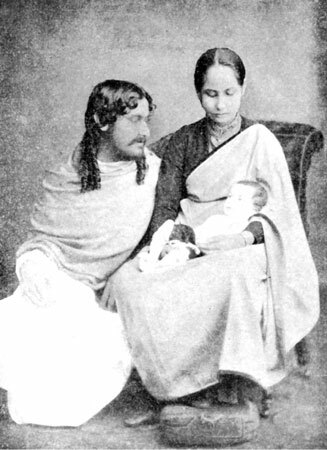 Rabindranath Tagore’s eldest daughter Madhurilata was born on the 25th of October 1886, in Jorasanko. 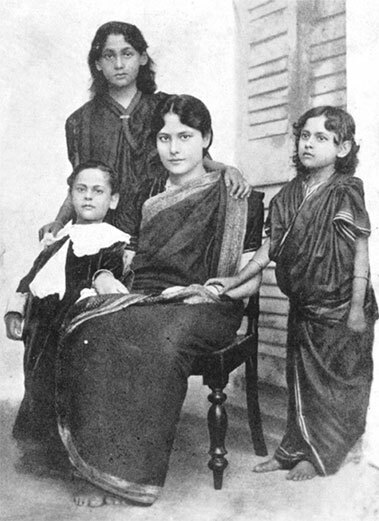 Tagore was twenty six years old while her mother Mrinalini was thirteen. 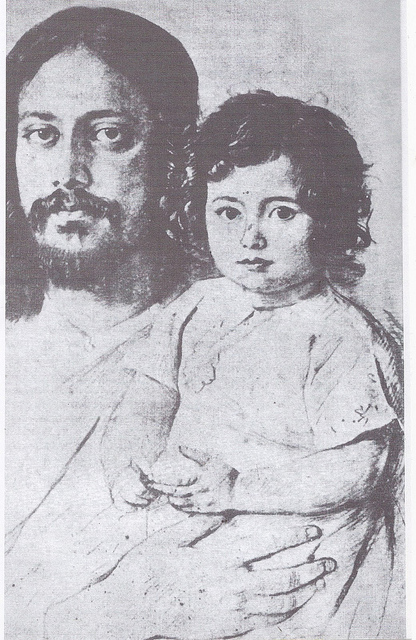 His sister-in-law Jnanadanandini, Satyendranath Tagore’s wife took them to her own residence in Park Street so that mother and baby could be given the latest in care. He published ‘Kori o Kamal’ when she was about a month old. Youthful guest of mine, are you new or are you eternal? Where were you hidden through the ages? Tell me who was the one who invited you here? I shelter you with tears and laughter. How did you enter my heart without me knowing? A portrait in pastels was commissioned by the artist J. Archer for the sum of Rs 400 which was slightly more than 400,000 rupees at today’s value. It is worth remembering here that the poem ‘Jetey nahi dibo’, ‘I will not let you go’, which has been described as the shortest epic poem in Indian literature was full of reminiscences of the six year old Bela. He observed that she would be a very affectionate and unassuming girl when she grew older. The tears that threaten bad luck. She falls asleep as soon as she is fed. She has been my shadow, silent and constant. What she thought as she sat quietly at the door. You had to let go. All your strength in that heart beating with love. ‘I do not feel like letting go.’ Who can say?. Draws me away with an amused smile. Priyanath Sen brought news of a good prospective groom. Tagore had met Sen shortly after Sandhyasangeet was published and held him in high regard. Priyanath was a scholar who was described as a ‘sailor of the seven seas’ because of his knowledge of Bengali, English, French and Italian. He lived at 8 Mathur Sen Garden Lane. The groom was Sarat Kumar Chakravarti. The family was not unfamiliar to Tagore as the groom’s father was the poet Biharilal Chakravarti. Sarat was the third son of the family. He was sixteen years older than Bela. He was a great scholar. After being schooled at Hindu School, he came first in both English and Philosophy at Presidency College for which he received the Ishan scholarship, the Hemantakumar medal and the Keshabchandra Sen medal. He was first in his MA class in 1895 and after gaining a B.L the following year, began practicing as a lawyer in Mujaffarpore in Bihar. Initially Priyanath spoke to Sarat’s mother Kadambari Devi and his eldest brother Avinash Chakravarti. In July 1900, Tagore wrote to Sen, ‘Now do all you can to take the negotiations towards fruition. He was prepared to go to Kolkata if it was required. Another letter gives us a look at the financial situation the poet found himself in. Reminder after reminder followed. Priyanath Sen indicated that he was not having any luck with the eldest brother Avinash. 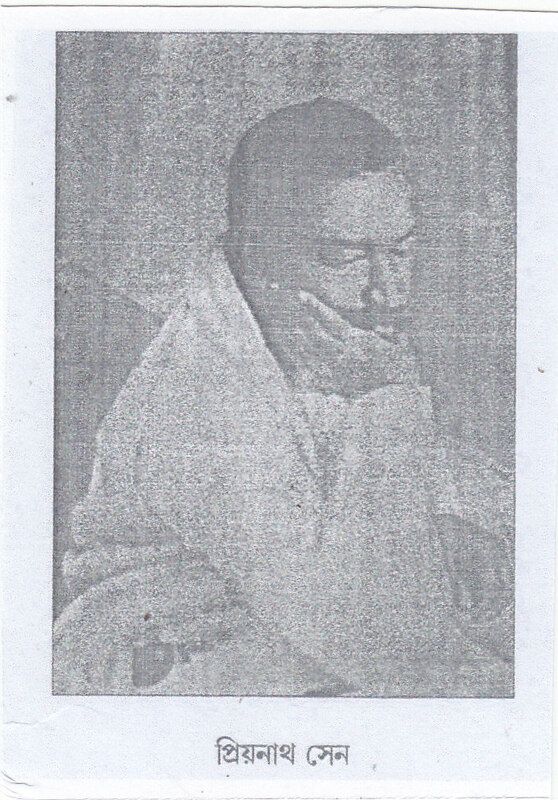 Tagore was understandably impatient as is evident from letter after letter addressed to Priyanath. 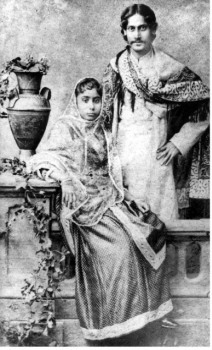 There is an undated letter where Tagore expressed his doubts about Sarat being able to convince his own mother to agree to the marriage since he himself had never seen Bela. The following year talks resumed between Tagore and the groom’s elder brothers, Avinash and Rishibor. This entry was posted on May 24, 2014, in Uncategorized and tagged Bela and Rathi, Madhurilata Tagore, Tagore's letters.